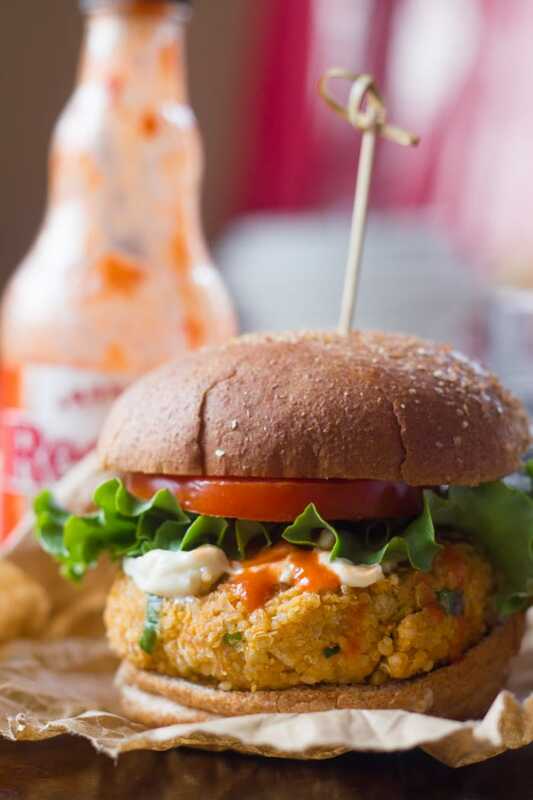 The ultimate round up of quinoa burger recipes! 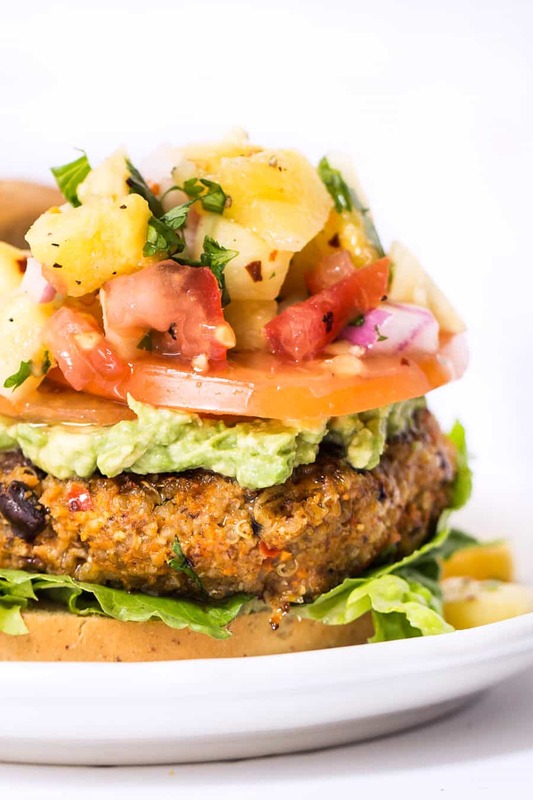 This is THE place to learn how to make a quinoa burger. 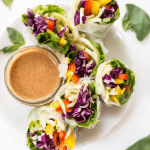 We've got over 50 delicious recipes to choose from! 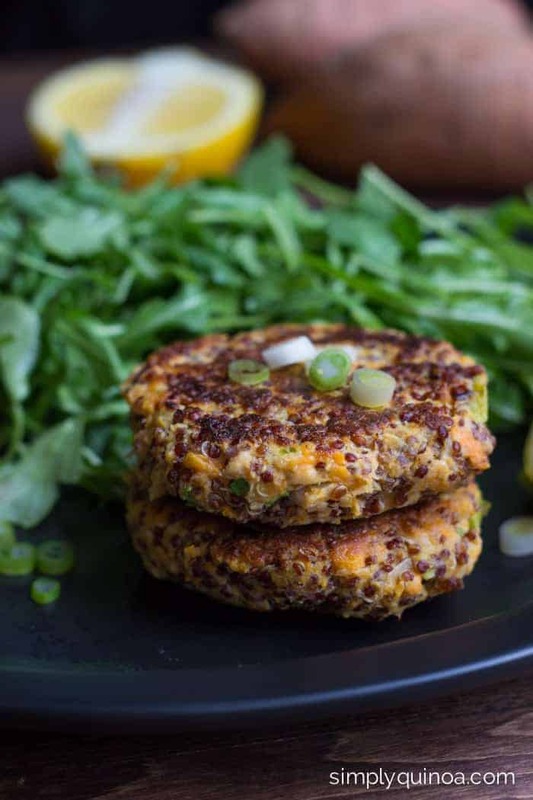 Quinoa burgers…and the obsession continues! 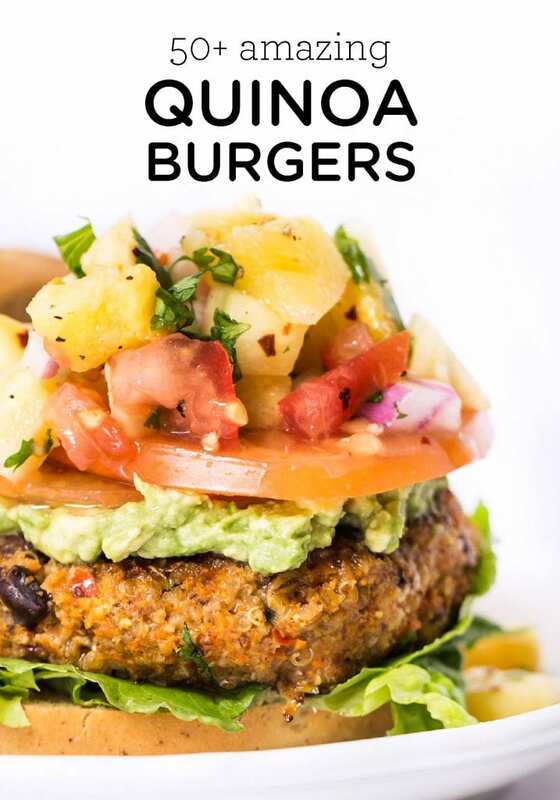 Is it a problem that all I ever want to eat are quinoa burgers? Perhaps, but they're just so darn tasty! What makes them spectacular is that you can combine so many different flavors inside. 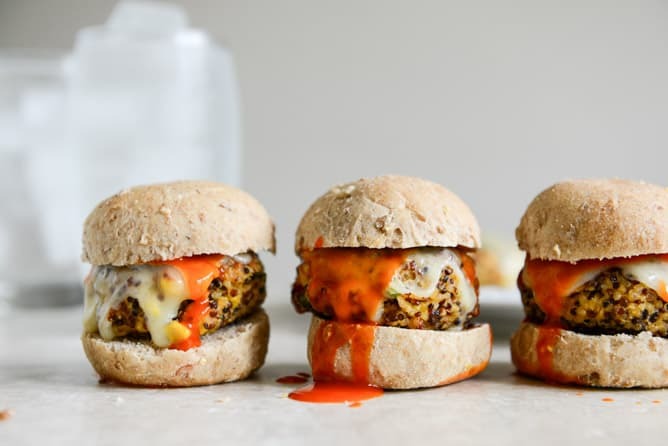 And as I've been searching for inspiration, for my own recipes, I quickly realized that there are lots of other bloggers sharing exceptional quinoa burger recipes. 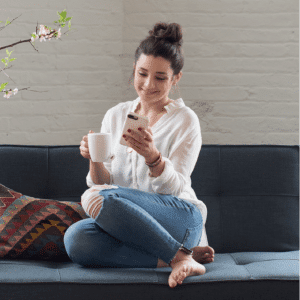 Rather than just telling you about them, I've scoured the web and found a bunch of my favorites and compiled them in today's post. 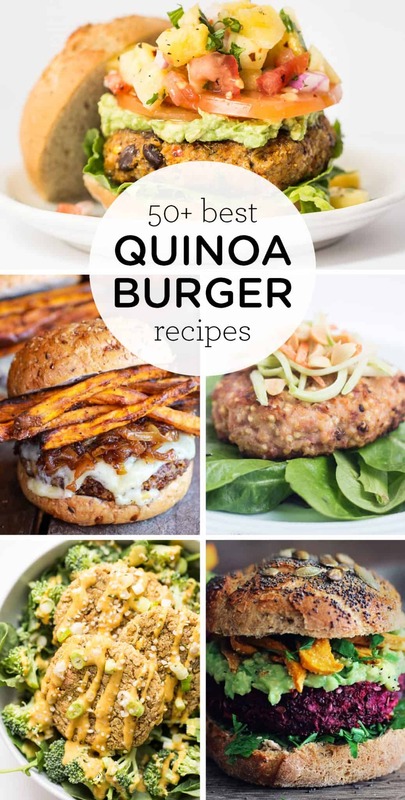 I'm calling it “The Ultimate Quinoa Burger Recipe Roundup” because there are 50 recipes to drool over! 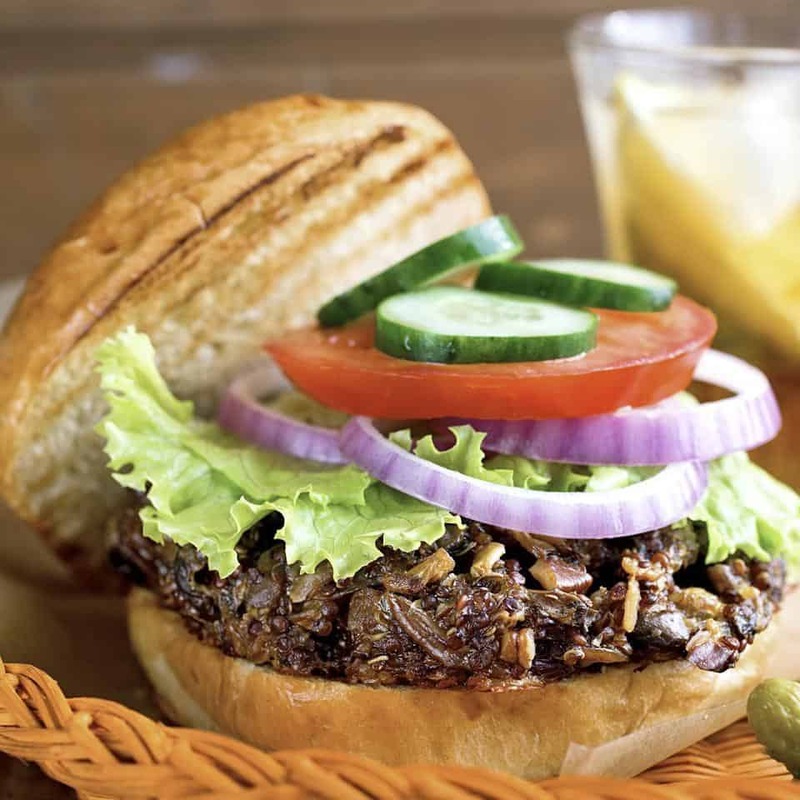 And this post couldn't be coming at a better time – it's about to be grilling season, and while we do have many vegetarian and vegan options – grilling season = burger season. 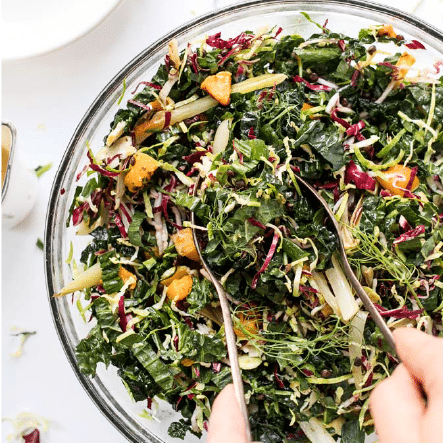 Each recipe also tells you whether it is gluten-free (GF) and dairy-free (DF). 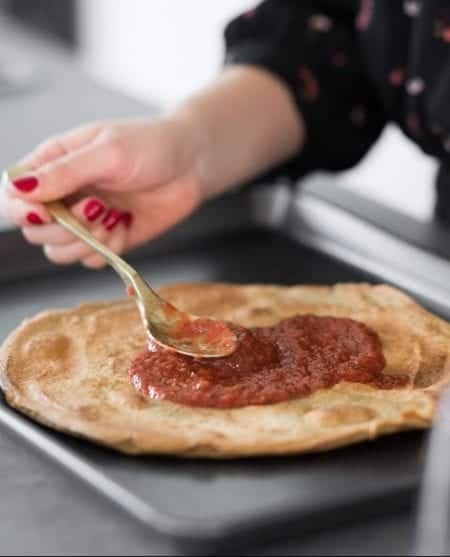 For those that aren't gluten-free, many of them use breadcrumbs or flour, so you can simply substitute gluten-free versions in their place. 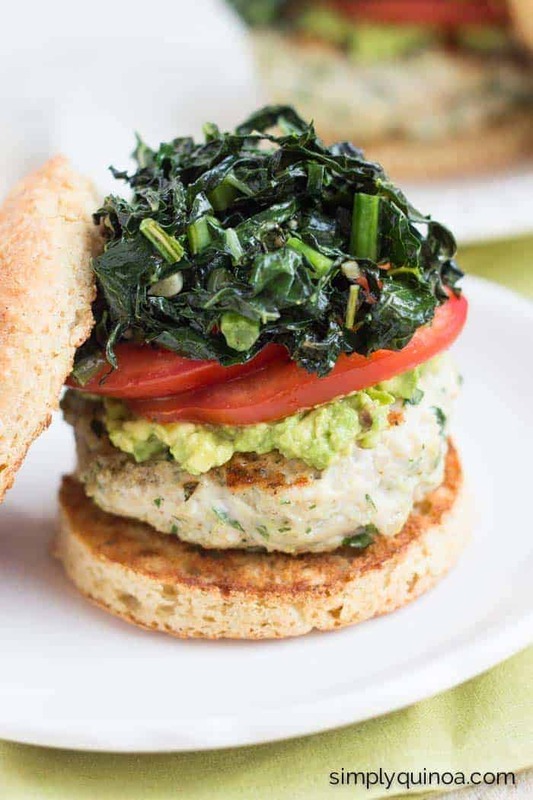 Do your salmon burger and its variations hold together on a grill? Which other recipes on your work well on a grill? Any suggestions for better “structural integrity” in the veggie or mostly veggie burgers? Or grilling techniques that help hold them together? Honestly, I haven’t tried this on the grill. I’m afraid that it wouldn’t hold together too well. I think I’d try it on an indoor grill first (if you have one) and then test it on the outdoor grill. 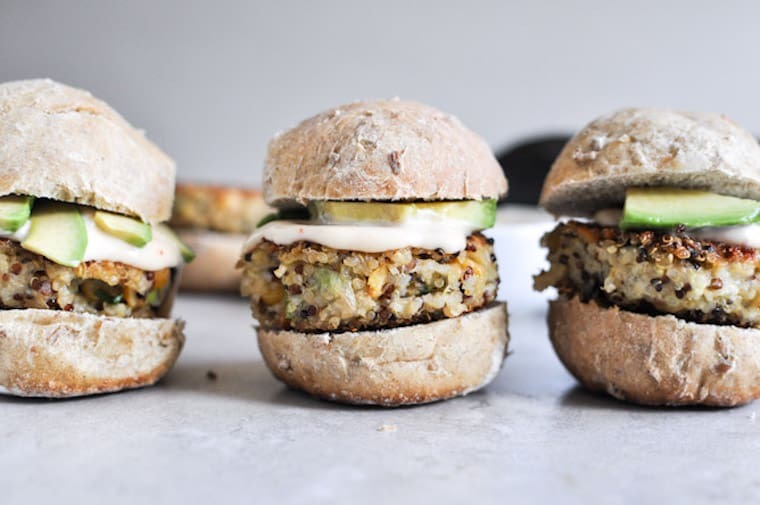 My suggestion for making veggie burgers more sturdy would be to add more breadcrumbs…which in turn means gluten (unless you can find gluten-free). 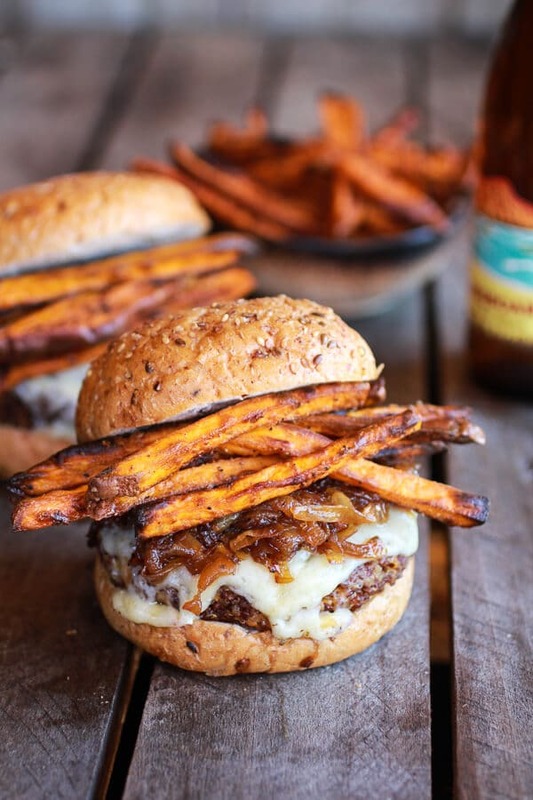 I have yet to create a burger that I think would hold up really well on the grill, but once I do, I’ll definitely share it here! My, my. Too many quinoa burger recipes to learn. Love it! 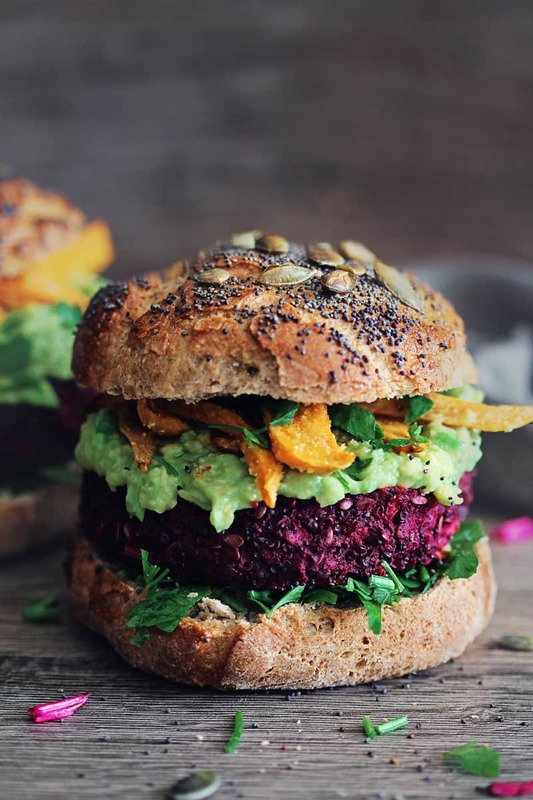 That beet burger looks amazing! You’re so creative. Can’t wait to try some of these, especially since I just found out I am allergic to beef! 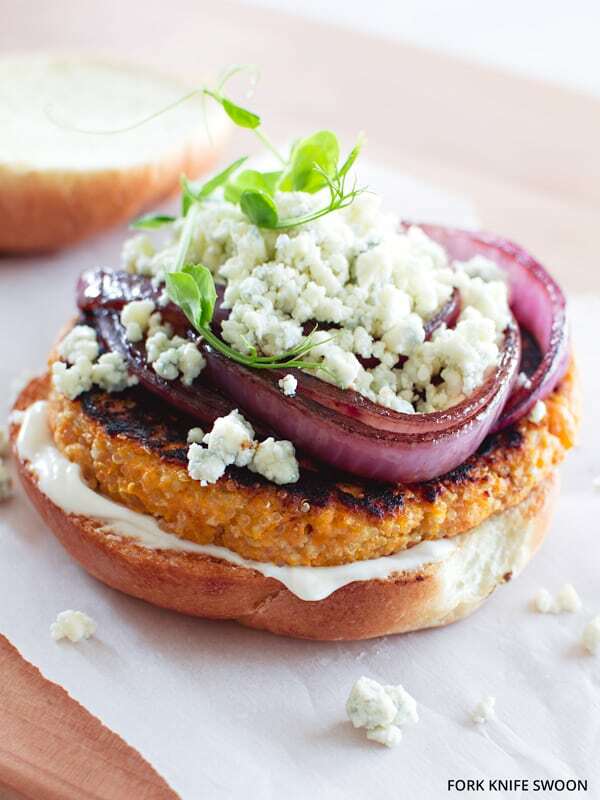 Thank you for including my quinoa burgers! I love this roundup! Amazing roundup! This is motivating me to make quinoa burgers (maybe with a side of spiralized sweet potato fries) for dinner! Thanks for including me! I realized a few hours after I posted on that group that you typed “quinoa cookies” and not “quinoa recipes”. It was pre-coffee so I wasn’t seeing straight when I added my link lol. 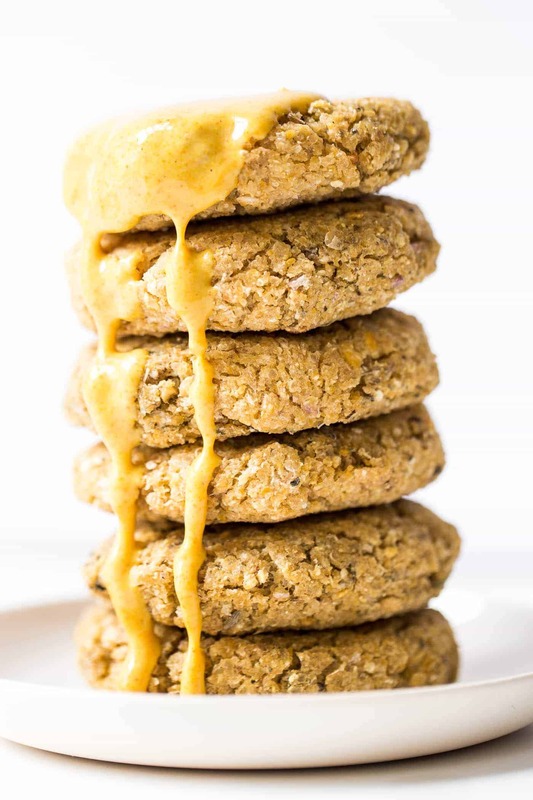 Maybe my stupidity somehow to contributed to quinoa cookies becoming quinoa burgers?! Lol. Sorry about that! Thank you so much for featuring our quinoa recipe!